Thursday February 28, 201910:00 am | Abbotsford, BC. CA. Announcement:Information contained herein is presented on behalf of the seller. Joiner Sales Corp, agent for the seller, cannot guarantee the information to be correct or assume the liabilities for errors and omissions. All lines drawn on maps are approximate. Buyers should verify the information to their own satisfaction. Any announcements made from the auction block on day of auction will take precedence over any matter of print and will be final. “OVER 1500 LOTS” – 2 DAYS! Manufacturers of World Class Turn-Key Craft Breweries, Food Processing & Beverage, Dairy & Pharmaceutical PLUS: Over $2MM Inventory in New Stainless Steel Coil & Sheet Stock, Bar, Tube, & Pipe, Tanks, Pumps, Motors, Fittings, Etc. A 16% Buyer’s Premium applies on all purchases (18% on-line). On the day following the auction all purchases must be paid in full by CASH, DEBIT, CERTIFIED CHEQUE, BANK WIRE TRANSFER (Credit cards [Visa, M/C] accepted on purchases not exceeding $2000 on entire purchase). Applicable buyer’s premium and 5% GST & 7% PST (BC mfrs. exempt with PST#) will be added to the purchase price on all items. Out of province Canadian buyers are entitled to an exemption of the PST with a bona fide Bill of Lading provided to the auctioneer prior to shipment from the auction site. USA buyers are entitled to an exemption of tax with a bona fide bill of lading provided to the auctioneer prior to shipment from the auction site. Everything will be sold “AS IS,” “WHERE IS,” “AS AVAILABLE”, with no warranties, guarantees or representations, expressed or implied. Although the auctioneer makes every effort to provide reasonably accurate information, all quantities and descriptions are for guide purposes only and may not be correct. (THERE WILL BE NO ADJUSTMENTS FOR LONGS OR SHORTS! PLEASE INSPECT!) The Auctioneer and seller expressly and specifically disclaim, without limitation, any warranty of merchant-ability or fitness for a particular purpose. RIGGING / REMOVAL IS THE RESPONSIBILITY OF THE BIDDER. 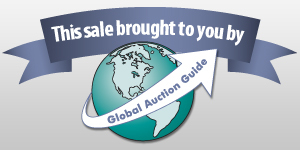 Small carryout items should be paid for and be removed following the auction or at the latest Sat., Mar., 2nd, 2019. Major items to be removed by Tues., Mar., 12th 2019. All removal activity must be in accordance with safety standards. NO REMOVAL UNTIL PAYMENT IN FULL. IT IS THE BUYER’S RESPONSIBILITY TO HAVE ADEQUATE REMOVAL STAFF AS THE AUCTIONEER’S STAFF WILL ONLY BE AVAILABLE TO VERIFY AND INSPECT INVOICES. CLICK ABOVE JoinerCONNECT LOGO TO REGISTER. ON-LINE AT ALL THREE SALES. Haffmans OPTI inline 02 meter, optihaze meter • Crystal Gauge Cal HP pressure comparator, 15000 PSI/1000 bar • Spectrovision 365 strobe light etc. (2) J Irizar tank turning roll set, 2.5-ton cap. w/idler, 150 – 3200 mm dia. cap. • Irizar WR-3 turning roll set, Load cap. 1.5T, Rotater cap. 3T, dia. cap. 250-1800mm, Rotater spd. 100-1000 mm/min. Pulsar hyd. hose press; (2) – 2011 Gear head Mill/ Drill #45, 220V/1.5hp/1ph; Ecco Mod MD-930HL-3 mill/drill 2hp/220/3; Ridgid 10” table saw with fence; Darex drill sharpener; Wilder 1624, 16 ga. x24″ slitter; Single end pedestal belt sander; Shop built 14′ long pipe grinder/buffer; DCE Unimaster dust collector; King parts washer; (3) Clark Quick Switch on stands; vacuum pump; Job boxes; tool chests; Qty. Ridgid shop vacs; Qty. shop tables (most alum. ), shop cabinets, tool chests, (3) flammable cabinets, hand trucks, shelving; Asst’d. scaffolding; Qty. step stools & ladders, shop carts, staff lockers; vises, clamps, vacuums, slings, (3) Wrap-Evac harness, (16) air hose reels, air hose, hand trucks; Qty. f/g shop carts; Load straps & ratchets, safety gas cans, (4) picnic table, (2) BBQ, etc. Angle grinders, C/O saws, drills, bench grinders, porta-power, hyd. Jacks, tap 7 die kits etc. STAINLESS STEEL INVENTORY – 304 RATED – OVER 250,000 LBS! COIL STOCK (w/lbs./roll) – OVER 150,000 LBS! foot pads, valve handles etc. OFFICES – SOME FURNITURE & MOST CHAIRS ARE STEELCASE!! OFFICE MACHINES: (2) Canon RMC-K10420 large format printer (1 is near new); Canon 5600F scanner/printer; Canon IPF605 printer, HP 7740 printer, Zebra ZT230 printer, (4) shredders, (4) flat screen TVs; over 50 computer monitors, many keyboards, (2) Apple monitor, computer accessories, NEC digital phone system w/ 26 NEC DJ700 hand sets, conference phone, etc. FURNISHINGS: (most Steelcase): 5’ round designer wood board table (paid $7000) • 12’ NSI-built gloss-top racetrack board table • (5) Jarvis sit/stand bamboo top desk, power adjust • work stations • desks • storage cabinets • file cabinets • over 70 chairs (most Steelcase – some, paid $1700 ea.) • sofas & chairs • Portable ping pong table • lunchroom contents –(2) 2-door fridge • bar fridges, microwaves, coffee machines, designer table, chairs, supplies etc.